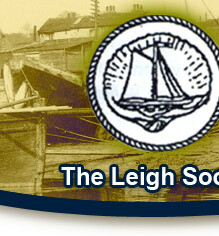 The Leigh Society is a consultee in respect of all applications within the 4 Leigh Conservation Areas. Our Planning Panel comments every month on applications ranging from very minor extensions and changes to properties to the much larger more controversial applications which affect the town. Southend Borough Council are the Planning Authority for the area and have a number of policies relating to the Town. The Society is represented on the Borough Council’s Conservation Working Party. Leigh is under great pressure for development of all kinds, but particularly house extensions and flats. But it is sometimes the little, seemingly innocuous developments which cause problems and if allowed to go unchecked can lead to harm to the conservation areas. So if you live in a conservation area what can’t you do? 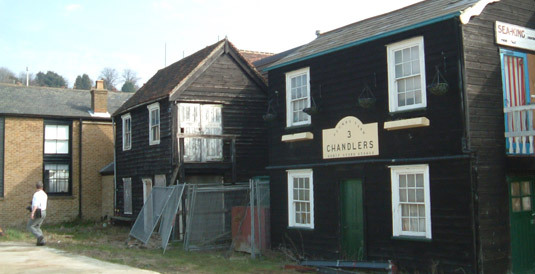 Leigh’s four conservation areas are ‘Old Town’, ‘Leigh Cliffs’, 'Leigh' (which covers a large area of the town) and 'Chapmanslord' (which covers the area around Canvey Road). Details of all of these areas can be found on the Borough Council’s web site www.southend.go.uk. Conservation Area Consent is required for the demolition of a building in a conservation area (demolition of part of a building is more complicated and you should seek advice on this) and works to any tree within the area whether or not it is subject to a tree preservation order. It is too complicated here to go into what requires planning permission as many minor changes do not, advice should be sought from the Borough Council’s Planning Department, but if you live in a conservation area the rules are more stringent. Of course the other type of special buildings we have in Leigh are listed buildings and these are subject to very stringent regulations. The planning rules are different when it comes to listed buildings. Generally speak planning permission is not required for internal alterations to a property, although you may need Building Regulation approval, for instance if you want to knock down a load bearing wall – always check with the building inspector at the Council. Failure to get the necessary Building Regulation approval can lead to complications when you come to sell. BUT you will need listed building consent to demolish a listed building or any part of it, or alter it in any way which would affect its character, INSIDE OR OUTSIDE so get specialist advice. In addition the Borough Council has placed several buildings on its local list – these are not listed buildings in the national sense but are buildings the Borough wants to take special care over. The Council has the power to take enforcement action against breaches of planning and conservation controls. Fines are heavy and you could end up in court. For planning there are time limits within which they can do this. However for Listed Buildings there are no such limits and a listed building enforcement notice can be served at any time even if the person who did the work is no longer in the property. This also applies to demolition of a building in the conservation area. So if you buy a listed building always make sure that any works which have been done to it were done with the consent of the Council.